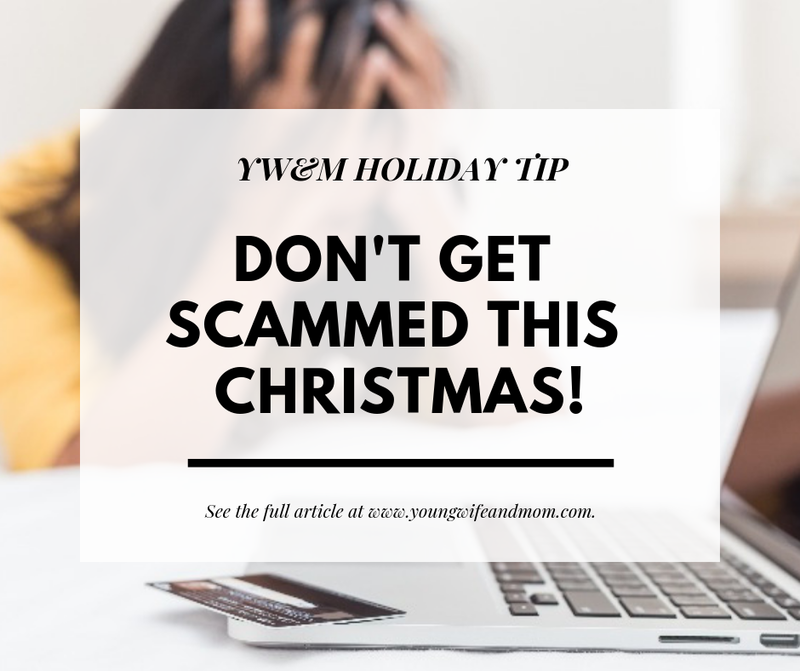 How Not to Get Scammed this Christmas! Scams are EVERYWHERE!! Some would say they are unavoidable, and happen to everyone. I feel like lately, there's a wave of fake stuff going around and it's definitely avoidable. Maybe it's the holidays coming up but people are looking for a good deal and it can come back and bite them later. This one always seemed off to me but has been around for years. There's just no way you're going to get between 6-36 gifts just for buying and sending someone else a gift over $10-$15. I know the thought of getting loads more gifts for the price of one is tempting but just don't do it. It's a pyramid scheme (you may get something IF you're one of the first, but others lose everything). There will only EVER be the same number of gifts as people who are participating. For example, 10 sisters = 10 gifts. Where do the extra gifts come from? If one person gets 6 gifts and the next gets 6, all the other 8 sisters get nothing. This is also illegal btw. These are also being reborn as a wine exchange, book exchange and who knows what else. Also, you are giving away your personal information (although basic - name and address) to other people. Just something to keep in mind. See Snopes' video on it here. Come on now...you're favorite grocery store is not giving out a coupon for this ridiculous amount of money off your purchase. I saw one the other day for $80 off and many of my Facebook friends shared it. Half of most grocery stores don't want to accept your little $.50 coupon you printed off a legit site. If it's a printable coupon for a high amount, it's fake. Anything legit would come from the store itself such as in it's week advertisement, loaded onto your digital card, a special offer in your snail mail. I know groceries are expensive, but don't risk going to jail for a fake coupon. Social media has allowed many places to create "Sponsored Posts" for their own site with tons of deals and special offers, many too good to be true. I feel like i might have been scammed by one recently, but "people" did say it took 3 weeks or more to receive and showed pics after it arrived on a Facebook post thread. The site gave me all the alarms - A basic shop page, no linked social media pages, no phone number, no nothing. It's been over a month now, with an email sent to them a few days ago and no response. I left a message today back on the original "Sponsored Post" with my dilemma. Hopefully, it's in the mail already or coming. If not, I just lost $5 that could have been spent elsewhere. Checkout my post here for some legit deal sites that have been around for a while. Ever bought something on Black Friday that you found somewhere else cheaper, like Amazon or it was just trash altogether? They made it seem like a deal with the inflated "retail" price vs. the deal price. Know what you're looking for before shopping. Do some research on your items and get the price range. Don't buy something extra because the price is amazing. Do you need it? Is it really worth that price". I was about to purchase three Vtech toys that were part of a pre-Black Friday "3 for 2" sale. Buy 3 items and the lowest one is free. The prices were definitely inflated but I thought with the promotion I surely was getting a good deal. Also the promo ended in the next few days so I HAVE to buy it right away, right?! Something told me to check around. Found the same items not on sale for a whopping $5 more in total. There's no rush to buy them now at that difference. Maybe they will even go on sale soon! Let me know in the comments if you are aware of any other scams or your experiences from these listed.